Today, here are quick mini-reviews for: Delivery Man and Frozen. Starring: Vince Vaughn (Wedding Crashers), Cobie Smulders (The Avengers), Chris Pratt (Moneyball) and more. Rating: Rated PG-13 for thematic elements, brief language and sexual content. Some people like him, other people tolerate him. I know few people who completely disapprove of his movies, but I’m sure there are some that do. That being said, it is a valid criticism that so many of his comedies are laced with a bit of over-sentimentality and superfluous plot points mixed with his characters’ “mile-a-minute” mouths and hands that always are the source and solution for trouble. However, I quite like this Minneapolis native and several of his movies. Wedding Crashers, Mr. & Mrs. Smith, The Dilemma, The Break-Up, The Internship, Dodgeball, Couples Retreat, Old School, The Watch, etc. Yes, there are a few stinkers in that list. That is, by far, not a list of favorites of mine, but looking at all of them and more, I can understand why people may not like his movies and see all of his characters as one and the same. But he has a certain spark, energy and enthusiasm that can be reeled in for those serious and/or sappy moments and he does it well. The Delivery Man is one example of him at his best in doing what he does best. 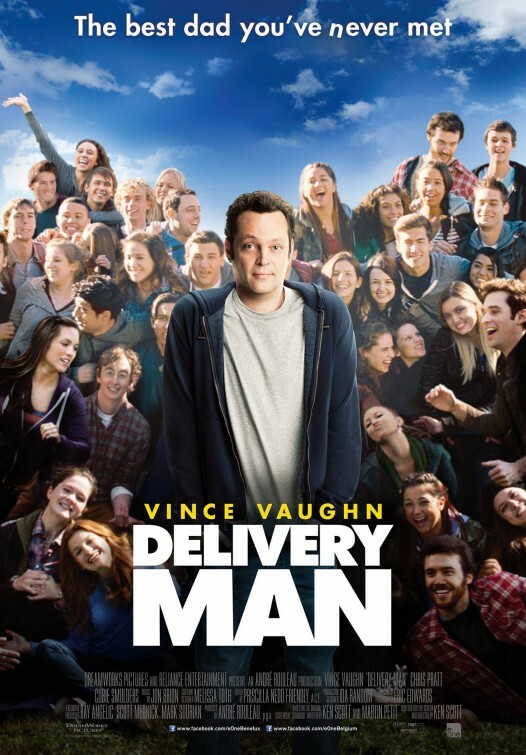 A remake of a French-Canadian film entitled Starbuck, Delivery Man is both written and directed by the same team of the original and is an improvement on the normal Vince Vaughn cinematic offerings. That being said, it still is a Vince Vaughn film and some people will want to watch it because of that and others not so much. The story, while a bit impractical, still manages to tug at the heartstrings amid laughter and finds a nice balance to please its viewers. 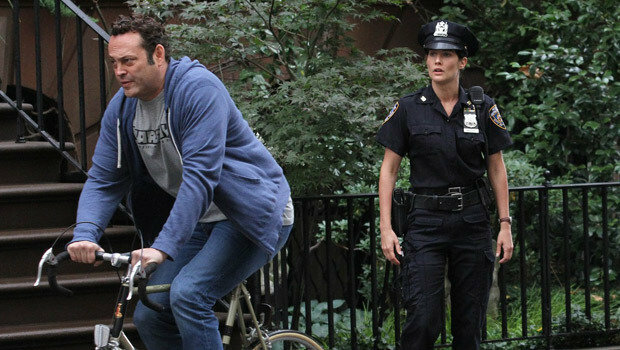 A movie that touches the subjects of self-improvement, responsibility, love and life, Delivery Man delivers more than anticipated and is not a waste of time. It’s good to see Vaughn taking roles with a bit more developmental weight. The cast, aside from Vaughn, Pratt and Smulders, is full of no one so memorable and thus makes their characters’ inclusion a bit more realistically enjoyable. All in all, a nice film, predictable but not overdone, that carries an equal amount of love, life and laughs. Not everything in the movie was in the trailers and not everything in the trailers was in the movie. I appreciate that. Not a bad job overall, Vince Vaughn. Directed by: Chris Buck (Tarzan) and Jennifer Lee. Starring: the vocal talents of Kristen Bell, Idina Menzel, Jonathan Groff and more. 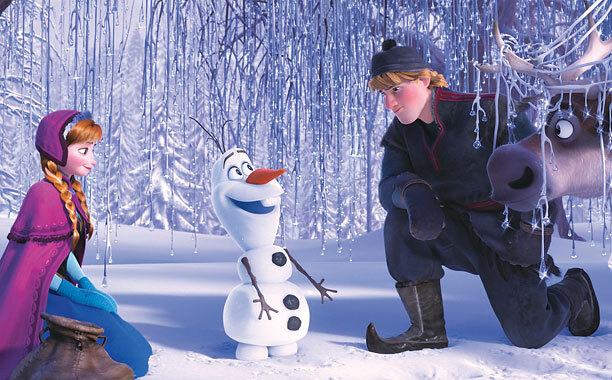 Be prepared: Frozen will warm your heart. This is the Disney animated film that so many fans of the mouse have waited for for years! Disney’s latest film goes back to company’s roots with this delightful story that will melt your heart and please your ears. In a style not too far away from the likes of Aladdin, The Little Mermaid, Beauty & the Beast and The Lion King, Frozen presents a wonderful true-to-yourself, coming of age story blended with beautiful animation, astounding 3D effects, delightful characters, fitting and memorable songs (including two favorites of mine entitled “Do You Want to Build a Snowman” and “Let it Go” that should be considerations for best original song come Oscar season). As soon as the movie began with a musical intro that took me back to watching The Lion King for the first time, I knew this was going to be a treat. And it was. A treat for the eyes, the ears, the heart and the soul. A story of sisters, love and friendship, Frozen heats up the competition for best animated movie of 2013 and will be a tough one for other competitors (Monsters University, The Croods, Despicable Me 2, etc) to beat. 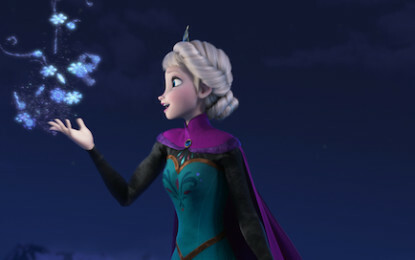 Though the characters may resemble other characters from previous Disney films, they have a great story and the overall adventure makes this film as unique as a snowflake. It’s thread of the bond of family/sisters and their relationship with one another keeps this film together and all of the parts of it…the magic, the music, the people…all very beautifully fit into the story as it is told. It is as if the people who now work at Disney all grew up in the 80’s and 90’s, watched the same magical films with great music that I did, then got disappointed with the way Disney strayed away from that style, got hired by Disney, and decided to bring a film back in the style of what was such an endearing part of our childhood. Scenes in Frozen will remind viewers of scenes from the market in Beauty & the Beast, to scenes in the forest from Tangled, to scenes from Lion King, The Little Mermaid and more. If you liked Tangled (and even if you didnt), or if you’ve felt let down by Disney films since Mulan (the last good ballad-laden Disney animated feature), or if you are looking for another great Disney film to take the kids to, THIS IS IT. 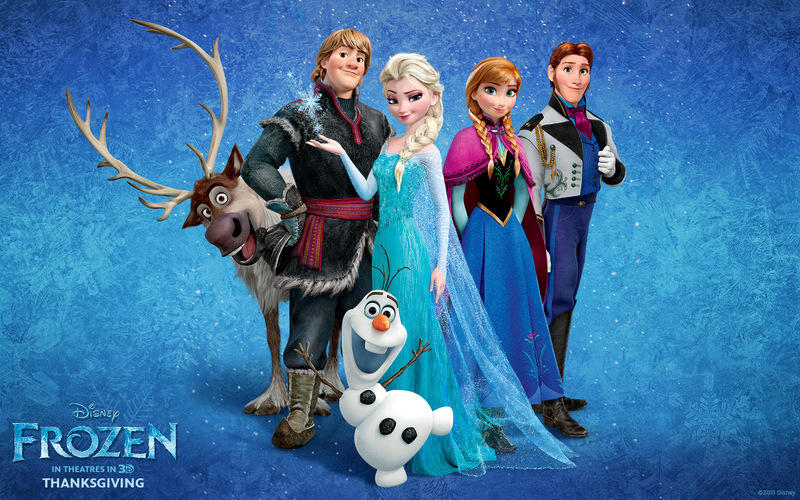 Frozen is such a heart-warming movie that moves the emotions, adds great music and pleases in more ways than one. A memorable animated film that I am already ready to own on Blu-ray. Disney is back and Frozen is simply magical. Do not show up late and then miss the FANTASTIC short animated feature that precedes the movie. It is a great mixture of past and present and is not to be missed. There is a cute short scene at the end of the credits. You MUST see this in 3D. I don’t say that often and this is a MUST! It is so immersive and so very well done. Previous Movie News Monday for November 25, 2013. So glad to read your review of Frozen and hear what I was hoping to hear! After Tangled and Wreck it Ralph I was really hoping that the John Lassiter-induced Disney renaissance would continue. It sounds like I won’t be disappointed! Going to see Frozen with my sister, will I like it? Vince Vaughan is one of those actors I let “age” before seeing. His best dramatic work was in the Independent boiler room film, ‘The Prime Gig’ opposite Ed Harris and Julia Ormond back in 2000. Best comedic, ‘Dodgeball’ and ‘Mr & Mrs. Smith’. “I like where your head is at, man!”. Hi T, hope you had a lovely Thanksgiving. Glad to hear you loved Frozen! I was on holiday when the screening was scheduled but I’ll be sure to watch that one, hopefully on the big screen. 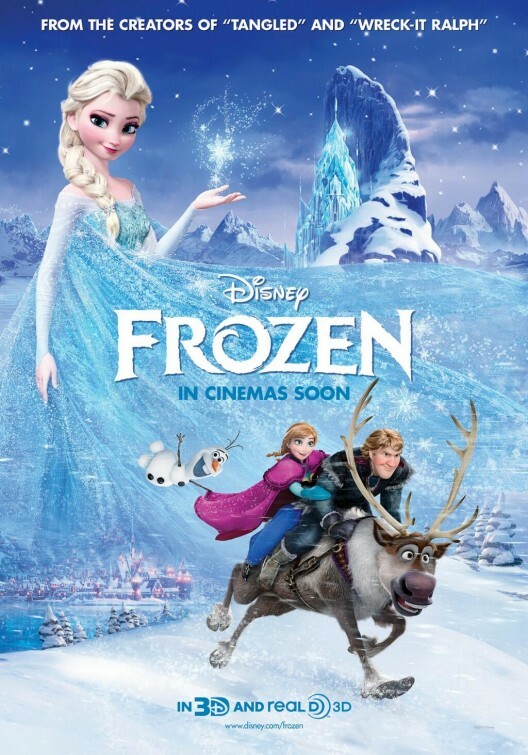 Good to hear Frozen is worth a watch…had a feeling it might turn out good. 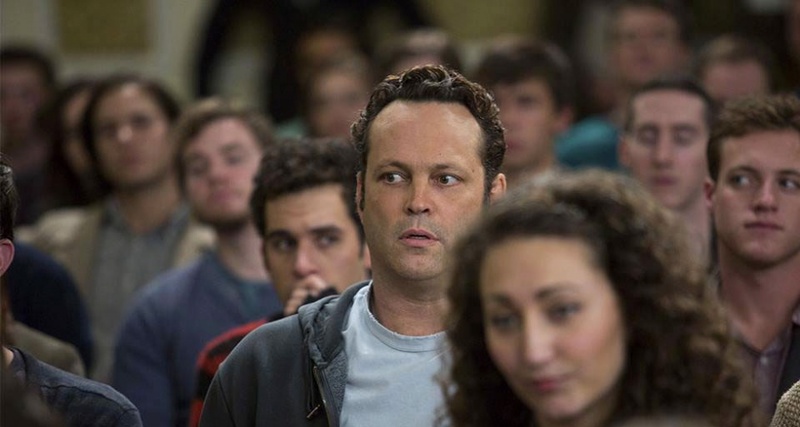 Vince Vaughn doesn’t do too much for me, but I’ll probably check out the movie eventually. Seriously, though, I’m glad to hear it’s such a success. I was looking forward to this one since it was first announced, only to be a little concerned when all the promotion was so Olaf-centric. Glad to hear he’s not overdone and is actually somewhat charming. I was really hoping to catch Frozen before it left the first-run theatre, but it looks like I’ll be waiting until it hits the second-run (probably some time in January). Right now, I’m kind of living “Frozen”; only got out of my driveway today, still waiting for running water. Harumph. Excellent review writing skills. Surely this is your day job? 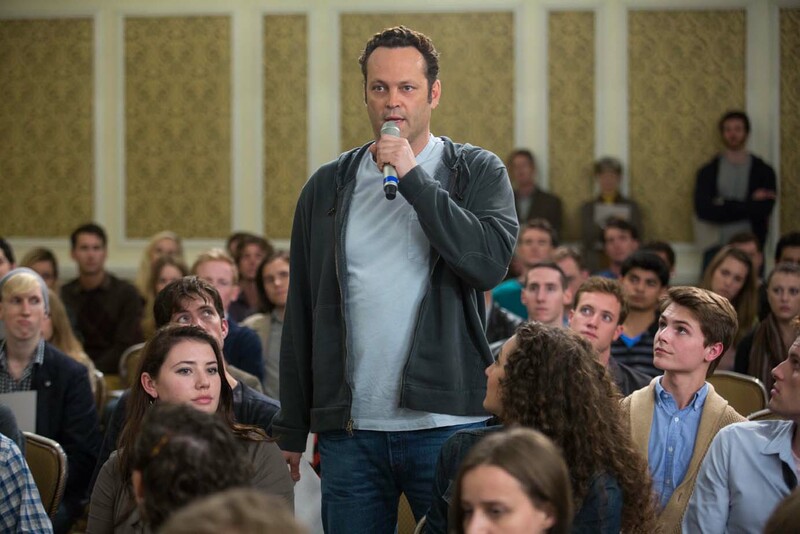 I’m one who loves Vince Vaughan. I get your point about his characters/oversentimentality, but I still think he’s gooooorgeous & would watch anything with him in it. That was a very kind compliment. Thank you. 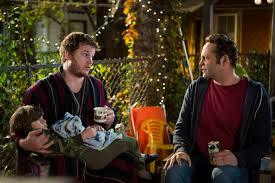 I like Vince Vaughn too and this one was not as bad as other reviews make it out to be. Thanks for reading!